Event planners don’t always understand that there’s an art to choosing the right “ingredients” that can really make or break any celebration. 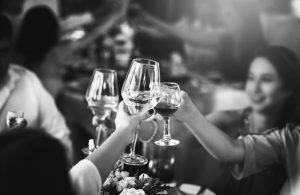 So if you’re hosting an event this year, be sure to focus on these four things that are crucial to throwing a successful party. The venue that you select can make a positive or negative lasting impression on all your guests. That’s why it’s important to use a venue that understands how to impress its attendees with updated décor, lighting, and some finer touches. People will notice how things make them feel, even when it comes to types of plates and glasses that are used during an event. Attendees may not necessarily remember what speakers say years down the road, but they’ll remember whether they were entertaining, inspiring, or downright boring. Even though you may want to keep it easy and choose your cousin to MC your wedding or get your boss to speak at your corporate event, they may not be the best choice if they don’t know to speak in public and work the crowd. The food is always a big deal when it comes to any event. If the food you choose isn’t up to par, your guests will remember it and share their negative experience with others. Everything needs to be perfect in this category in order for your event to be a success. When choosing your menu, make sure that the food is fresh and up to your standards. What you leave for your guests to take home can also create lasting memories. So plan to leave a souvenir that will leave a good lasting impression. It doesn’t have to be expensive either, just something that represents the event and shows your appreciation for attending. Whether you’re throwing a work party, wedding, or special ceremony, you want to make your party memorable for the right reasons. Years from now, people won’t remember the ceremony, invitations, or what was said, but they will remember whether the day was enjoyable or not. The finer details really matter and add up as a whole, so remember to plan them all out carefully and choose a venue that can deliver the level of service you expect. When you’re looking to throw an event to remember, contact us at the St.Elias Centre!